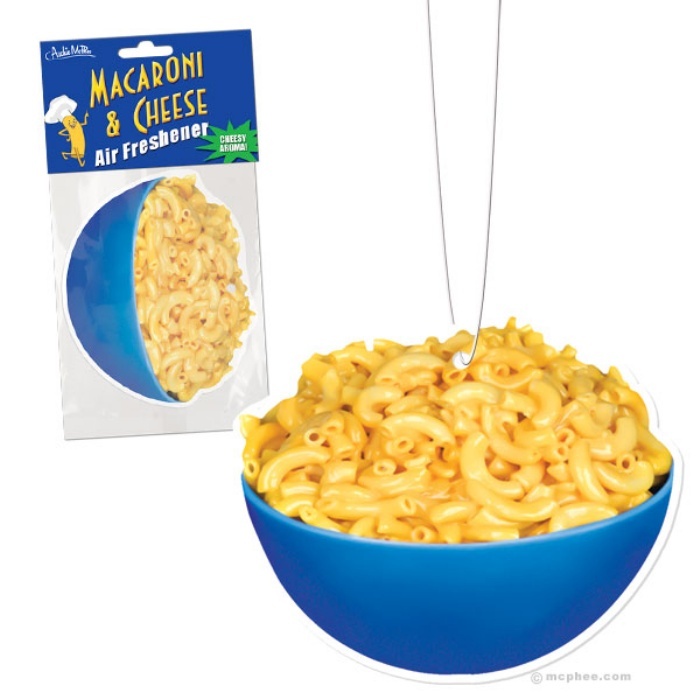 Smells Like Comfort: Mac And Cheese Air Freshner | OhGizmo! Who doesn’t love Mac and Cheese? It’s the ultimate comfort food for when you’re feeling particularly glum or tired from a tough day at work. When you’re done chowing down on a bowl or two and still aren’t feeling like your old self, then hang one of these Mac and Cheese-scented air fresheners in your room or in your car to spread that comforting scent all around. Nothing gives good vibes like the smell of mac and cheese, but it’s obviously a bad idea if you’re on a diet. It’s available online for about $5.